Quatreau Touch50™ brings outstanding technology, style and convenience to your workplace. 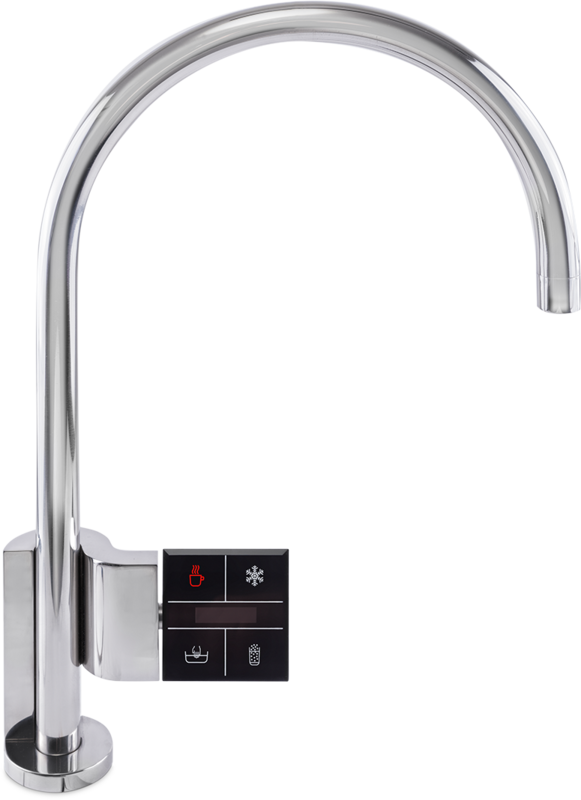 Our innovative touchscreen tap dispenses high volumes of boiling, chilled and sparkling filtered or pure drinking water, plus hand-hot and cold for washing and rinsing. You can do away with the kettle and you’ll never need to buy plastic bottled water again, reducing your environmental impact and saving storage space. Made in England from 316 stainless steel for quality and durability, in either Brushed or Polished finish, Quatreau Touch™ has several built-in safety features. The world's most advanced tap. Touchscreen controls dispensing boiling, chilled, sparkling, hot and cold water for the workplace. Quatreau Touch50™ is the only tap of its kind. Quatreau Touch50™ is the most advanced tap developed over a decade of continuous research and development making it one of a kind. With five choices of water – Boiling, Chilled and Sparkling, plus thermostatically controlled hand-Hot and Cold for washing – an intuitive touchscreen control panel and the option of PureH2O Purity Pro, your workplace benefits from the latest technology with Quatreau Touch50™ whilst eliminating bottled water. Reduce your environmental impact with Quatreau®. Reduce your environmental impact with Quatreau Touch50™. Chilled and Sparkling water on tap means you’ll never need to buy plastic bottled water again; so that’s reduced carbon footprint, zero food miles and no plastics waste. Quatreau® tap systems are the most energy and water efficient on the market, further saving environmental resources. PureH2O is the only brand to have a certified 95% reduction in carbon footprint (Best Foot Forward) versus that of bottled water. 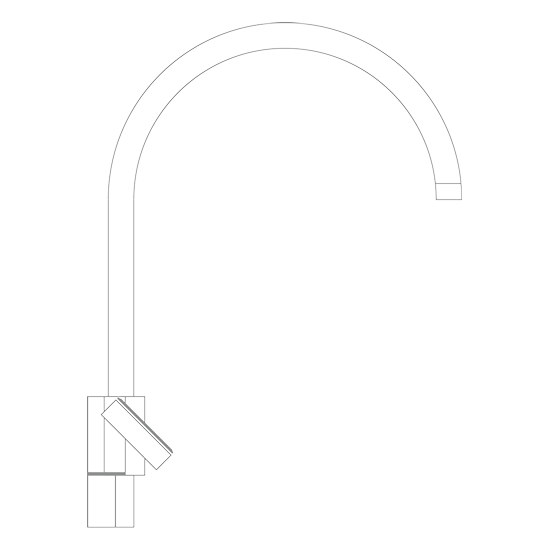 Quatreau® taps are made in England for exceptional build quality and reduced environmental impact. 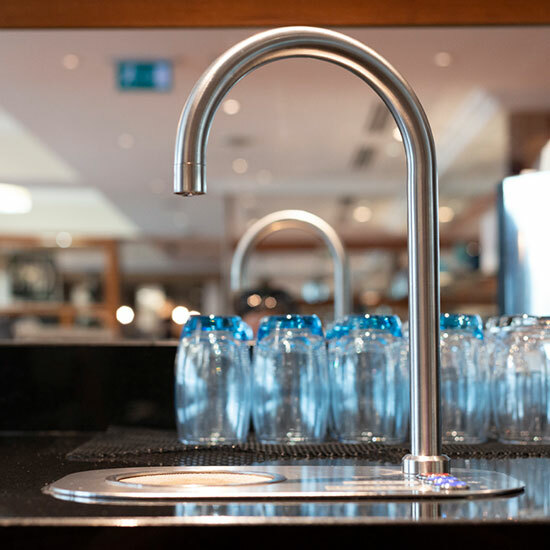 Quatreau® taps are made entirely in England guaranteeing exceptional build quality and reduced environmental impact. We use only the best, WRAS approved materials including 316 stainless steel for durability and longevity. Quatreau® is trusted to deliver by domestic and commercial customers alike, including The Avenue Cookery School in London. Quatreau Touch50™ contains inbuilt water filters. Quatreau Touch50™ contains inbuilt water filters, but upgrade to the PureH2O Purity Pro tap water purifier and you’ll enjoy drinking water of the absolute highest quality. Pure water tastes superior to any other water, enhancing the flavour of your tea, coffee and cold drinks. Safe, healthy and purer than bottled, guaranteed. Tap water throughout the UK contains high levels of Metaldehyde (slug poison) that breaches all water regulations – our Purity range is guaranteed the most effective method for removal of this and other waterborne pollutants. Quatreau Touch™ brings style, substance and unbeatable technology to your workplace. Quatreau Touch50™ brings style, substance and unbeatable technology to your workplace. Available in either brushed or polished stainless steel finishes, our design team is happy to produce bespoke finishes on request including bespoke drainers. Our innovative touchscreen control panel will be the talking point of your workplace. Specify exactly what you need with Quatreau Touch50™. Specify exactly what you need with Quatreau Touch50™. The complete tap with all five functions, or as a standalone drinks tap Quatreau Touch50™ delivers exactly what you need – without delay. In-built safety features and a cool-to-touch hoop ensure safety wherever it’s installed. Dispenses 3ltr instant draw at 97-99° C (the ideal temperature for preparing tea and coffee) and a further 3ltrs/minute without any loss in temperature. 50 ltr/hr at a constant 5° C. Unlimited use. 50 ltr/hr at a constant 5° C. Quatreau® keeps on delivering without the airlocks found in other sparkling water taps. Saves water by dispensing at the perfect pre-set temperature for hand and dishwashing (can be adjusted to your preference). Cold mains water for rinsing. Upgrade Quatreau Touch50™ with a Purity Pro water purifier for the ultimate taste – it’s purer than bottled water, guaranteed. Upgrade Quatreau Touch50™ to Quatreau Touch Infinite™ for unlimited boiling water – recommended for workplaces with more than 50 users. 3 step touch sequence to activate Boiling function, auto cut-off after 60 seconds and an outer hoop which remains cool. Quatreau Touch50™ can be placed into your existing workplace or additional prep sink at a rear or side position, the touchscreen control panel is right-handed. Commercial premises will usually have everything our engineers need to install your Quatreau Touch50™: requires a 600m cupboard, a 15 mm lever ball valve or equivalent isolated mains cold water supply and a double 13 amp SSO powerpoint. We offer a 3-year warranty on a Quatreau Touch50™ with standard water filter and a 5-year warranty on a Quatreau Touch50™ with optional water purifier (the latter requires servicing just once a year). The Purity Pro 120 serves offices, hotels and restaurants with higher volumes of pure drinking water. It replaces single-use plastic or glass bottled water to minimise environmental impact, reduce financial costs and maximise convenience. Its advanced purification system produces drinking water of exceptional quality, far purer than any bottled water. The compact stand-alone pure water drinks station for high volumes of boiling, chilled, sparkling and / or room temperature water, installed over a sink or into a countertop with or without optional recessed drip tray. Our Quatreau™ Tap has made all the difference to our kitchen and how we enjoy it’s multi-functions. To immediately have boiling water, pure water, hot and cold water and then fizzy water at your fingertips is extremely satisfactory. Not to mention the time and money it saves on the electricity bill not having to boil a kettle every time we need coffee or tea. Our tap is the talking point of our custom built kitchen and gives it the final wow factor. An innovative product from a company delivering great customer service! The Quatreau™ tap was the third product we purchased from the Pure H2O Company - we would never buy bottled water, this is far superior and we take it everywhere we go ! Quatreau™ requires no maintenance but should you ever have a query or problem, our technical support team is here to help. For your peace of mind, we offer a 3-year warranty on Quatreau Touch™ and a 5-year warranty on Quatreau Touch™ with PureH2O RODI tap water purifier.